Hello Boston - Personal Chef Dining Experience With An Acclaimed Chef! Personal Chef Dining Experience With An Acclaimed Chef! Enjoy an exquisite culinary journey hosted by the renowned Chef Anthony Caldwell. Treat yourself to culinary excellence while enjoying the company of a loved one or just sitting in the presence of good friends. Chef Anthony Caldwell has also assisted with Harvard University's 2017 Commencement. I was born and raised in Dorchester, while my life has been met with a lot challenges some due to my upbringing and others because of my own decisions – today I stand as a testimony of God’s grace and mercy in my life. I was given a second chance at the age of 43 and because of that I have vowed to share my gift with the world and give back to the community. 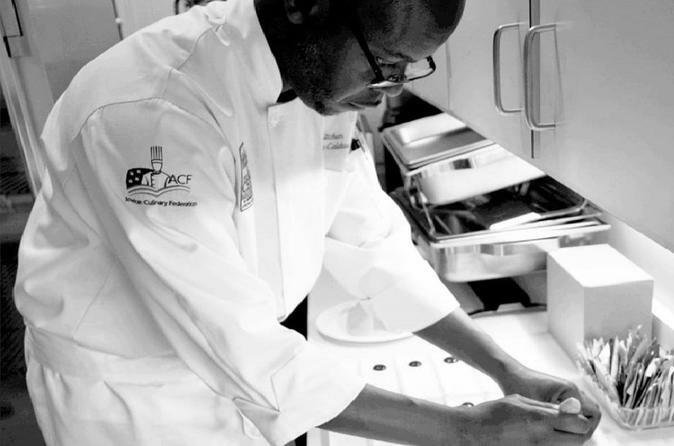 I have obtained two culinary certificates, have gone to work for various establishments like Legal Seafood, The Sheraton Hotel, MIT, Executive Sous-Chef at the John Hancock in Boston and Sous-Chef at Harvard University. Throughout my career, I have always loved the art of combining different ingredients and flavors to make a dish as well as plating food in a way that was pleasing to the eye. People are always appreciative of the food I cook and the way I present on a plate to which my response is always “beautiful food for beautiful people."